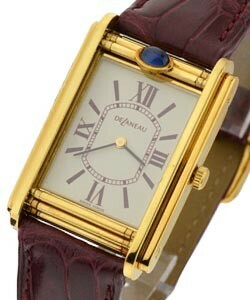 Delaneau is 'Le Joaillier de la Montre' or the jeweler of watches. The company's history goes back to 1880 in Bienne Switzerland. 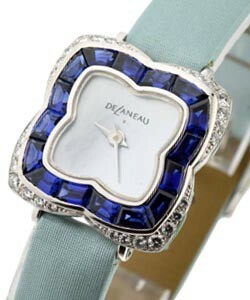 In the 1970s Delaneau took the totally unique path of making fantastic haute joaillier watches decorated with spectacular colored gemstones and diamonds. 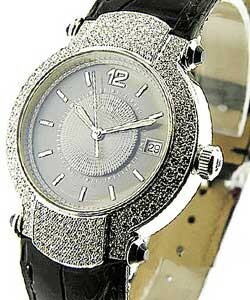 Truly in a rare class with brands such as Piaget and Cartier as makers of the most spectacular jeweled timepieces. 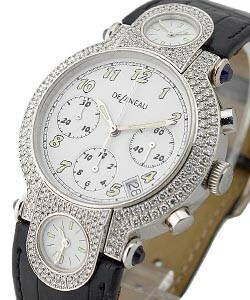 Delaneau has been known as the jeweler of watches since the late 1800s, but in the 1970s began to change the world of jeweled watches by incorporating colored gemstones and diamonds into their designs. 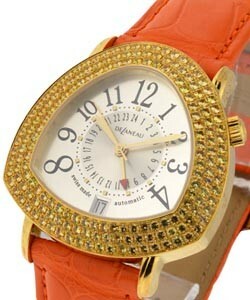 If you are in the market for an amazing jeweled timepiece, than Delaneau luxury watches are a must-see. 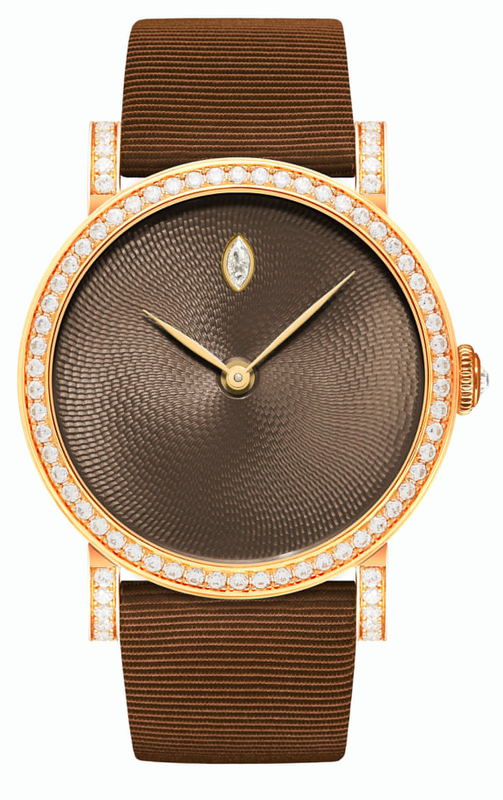 The 'Delaneau Lotus Amazone' models feature a diamond studded bezel that perfectly sets off the lotus flower created by hundreds of brilliant-cut diamonds on the watch face, while the 'Delaneau Round Dome Lotus' incorporates unique baguette-cut diamonds, mother of pear and enamel. Other collections named for flowers are the 'Delaneau Dahlia', the 'Delaneau Lily', and the 'Delaneau Magnolia' with its stunning enamel magnolia with a ruby pistil and hundreds of diamonds on the case and bezel. 'Delaneau Les Invisibles' includes models with diamonds, some with blue or pink sapphires, some with designs included on the invisible setting base. 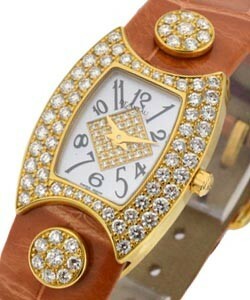 The use of the colored gemstones mixed with the diamonds is incredibly beautifully. The 'Delaneau Blueberries collection' includes designs with diamonds and sapphires, diamonds and enamel, and diamonds with onyx. 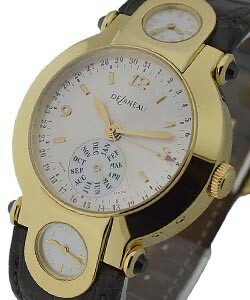 These Delaneau luxury watches are unique and stunning. 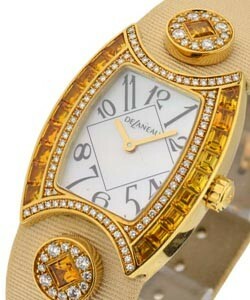 For more unique Delaneau luxury watches, the 'Delaneau Miniature collection' includes beautifully intricate watch faces that have a miniature horse, tulips, a leopard's eye, a bird, a butterfly, a pink rose, and a tiny leopard that are all created with enamel and/or precious gems in addition to the diamonds that adorn each watch by Delaneau. The 'Delaneau Angel Heart collection' shapes angel wings into a heart in several colors and materials. 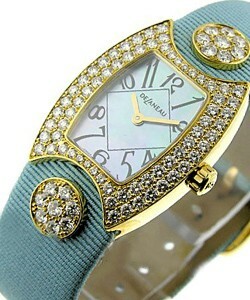 The 'Delaneau Waves collection' uses an intricate mother of pearl mosaic and a variety of gemstones and diamonds. 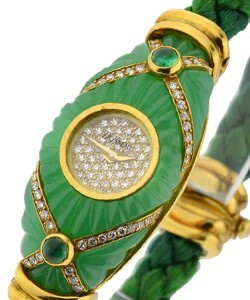 The 'Delaneau Sunrays collection' includes diamond with mother-of-pearl, enamel, or jade to give a 'ray' effect. The 'Delaneau Atame collection' includes unique pieces with diamonds, enamel, and mother of pear for unmatched style and beauty. The incredible 'Delaneau Psychedelic Circle collection' uses either a round or square case with double circles of diamonds outlined in various materials. The vibrant colors of the enamel and the colored gemstones make these timepieces gorgeous jewelry that can be worn with pride. . 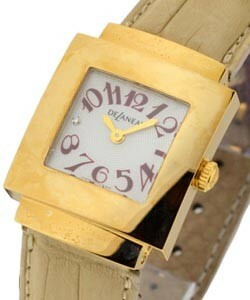 Most popular of all Delaneau Luxury watches still seem to be the 'Deleneau 3 Time Zone', ' Deleneau Baby Butterfly', ' Deleneau Bali Carree' and ' Deleneau First Lady'. 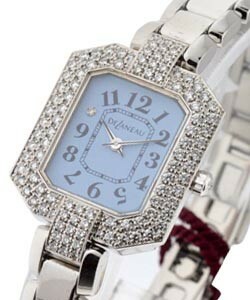 These watches can be found with fabulous diamond and color gems adorning them, and are great examples of Delaneau's incredible attention to detail, and knowledge of the world's most beautiful diamonds and gems.